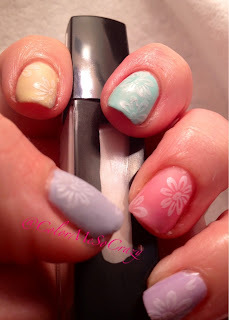 The Nail Challenge Collaborative- Pastels! Happy Spring my Lovlies!! I hope you are all enjoying your end of this Lenten season celebrations and libations!! I know I will be enjoying a burger, fries and sweets this week!!! 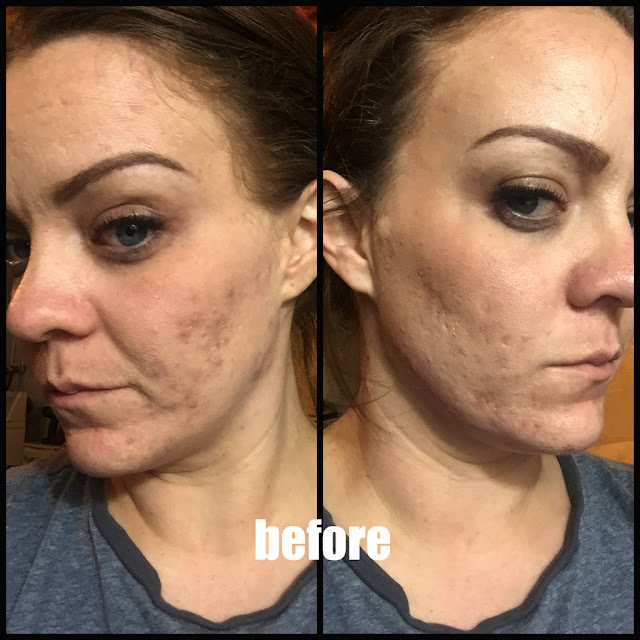 Amen to me for having the inner strength to give these up for 40 days and 40 nights. Anyway... 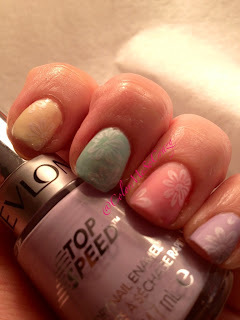 I did this little stamping mani for a springy look. 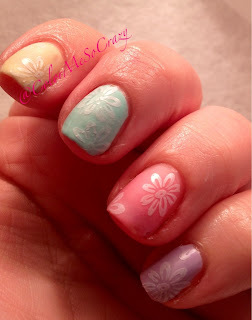 I am just getting warmed up and use to this pastel look so I just kept it simple with flowers. 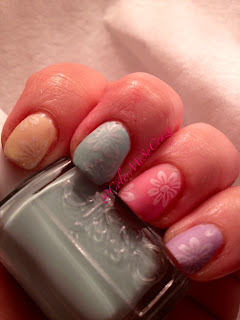 Pastels are hot for this spring and I like them. I like them even more when they are matted out. 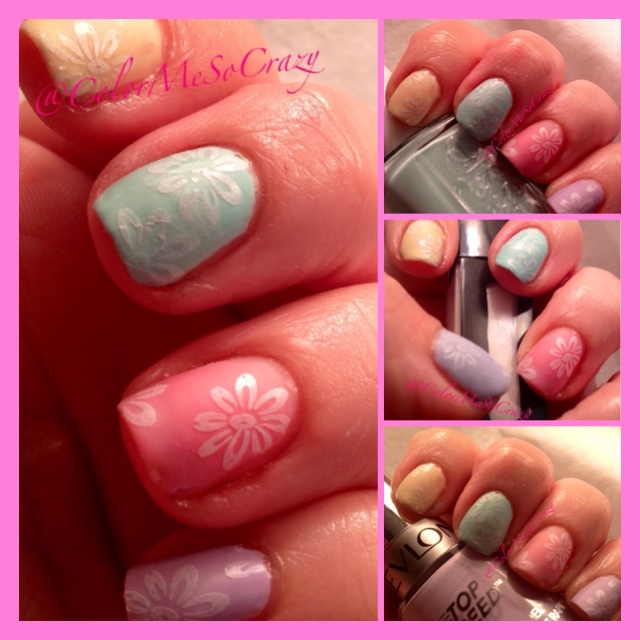 I just love a matte pastel... Almost as much as dark and vampy. Strange huh?!? Anyway, I hope you all have a beautiful day!! Enjoy! Love the flowers with the pastels! It's a very soft and sweet look!